Film Plot: A martial artist agrees to spy on a reclusive crime lord using his invitation to a tournament there as cover. Calling Bruce Lee one of the most influential martial artists of all time would certainly be true, but it would also overlook his many other acheivements as an instructor, philosopher, and filmmaker. Despite only living to 32 years of age, his life story and struggles continue to inspire millions of people the world over. That said, he was indeed most well-known for films and Enter the Dragon was his final, most ambitious, and most celebrated project. 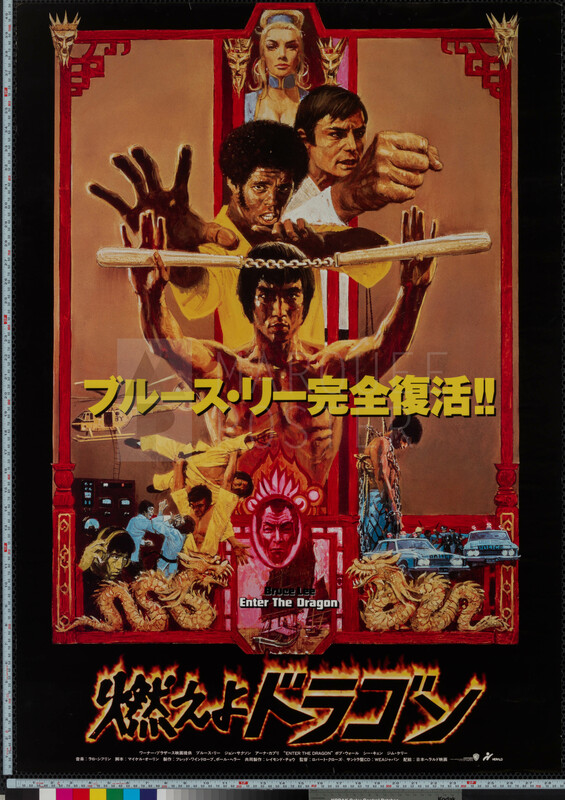 Original release material has maintained strong demand over the years with US, Japanese and especially Hong Kong posters performing particularly well. 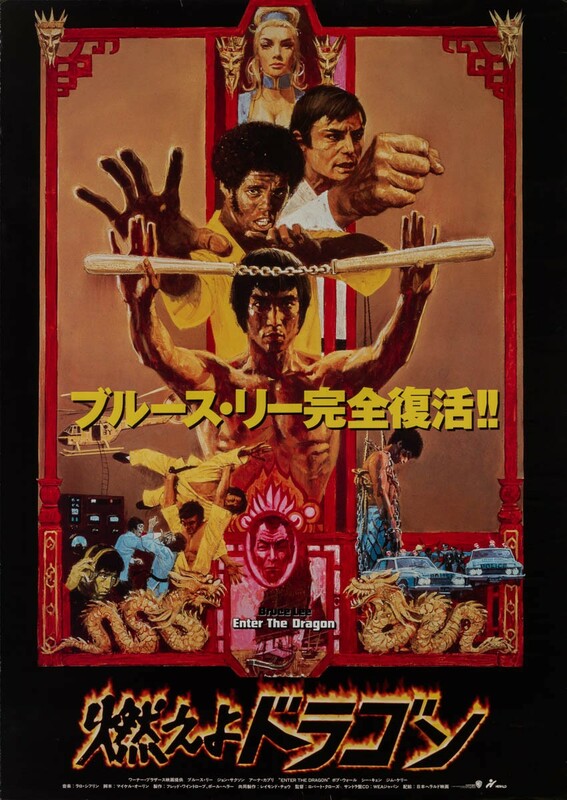 This Japanese re-release poster utilizes the wonderful US original 1-sheet art (possibly from Bob Peak? 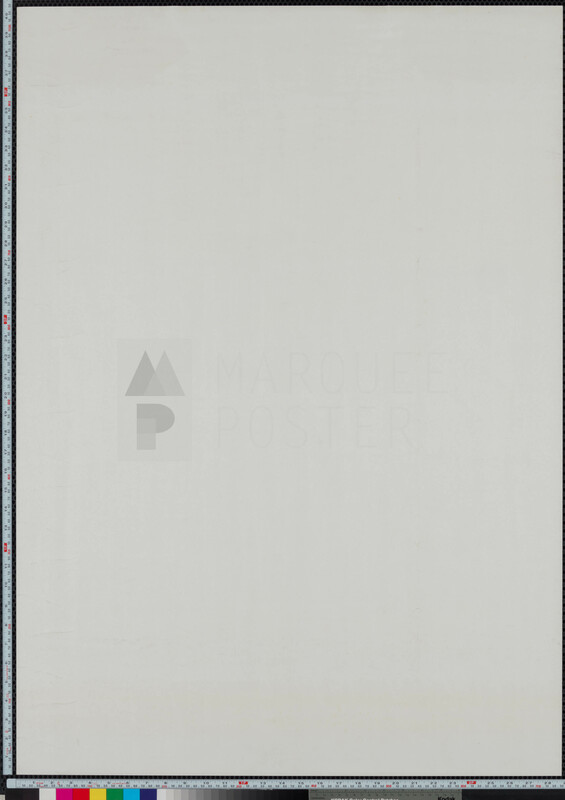 ), but creates a more intense mood by placing it on a black background much like US 6-sheet — perhaps the most elusive and desirable of all US posters. 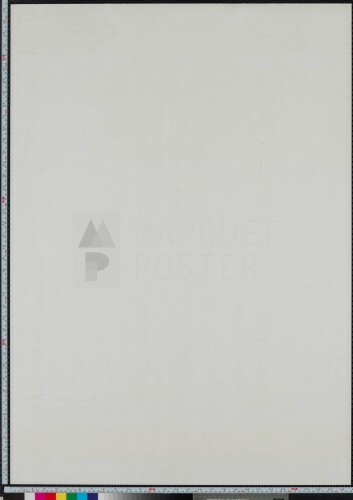 With a flaming title and a glossy finish, this poster will “pop” in any room.